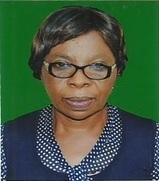 Dr. Nkechi Betsy Izuogu is an academic staff member of the Department of Crop Protection. She holds an M.Sc and Ph.D in Crop Protection from University of Ilorin. Her area of specializaion is Plant Nematology. She obtained her B.Sc Hons. (Botany) from Imo State University. Dr. Izuogu is a senior lecturer with in-depth knowledge of plant Nematology. She is responsible for the teaching, research and strategic planning of the Department of crop protection. Dr. Izuogu is involved in teaching undergraduate and graduate courses, development of courses, conducting seminars and supervising undergraduate and graduates students. She has contributed to knowledge through publications of scholarly articles in local, National and international Journals. . Her research activities have mainly focused on the search for organic, plant materials and effective-micro-organisms as substitutes for synthetic pesticides in nematode control on arable crops with a view to formulating non-synthetic nematicides in durable and more effective forms that ensure food stability and environmental safely. Dr. Izuogu is a member of some organizations in her discipline. These include Nigeria Society of Nematologists, Nigerian Society of Plant Protection, Horticultural Society of Nigeria and Association of Applied Biologists. She has served the University of Ilorin at various capacities, as a Level Adviser, Post-Graduate Coordinator, Faculty GNS Coordinator, Internal examiner as well as an Associate Lecturer to related departments. She has also served as a Facilitator and External Examiner to National Open University of Nigeria.